Singapore is a fantastic place to visit if you are looking for an easy introduction to Southeast Asia. It's safe, clean, and easy to get around (Changi Airport is one of the best airports in the world). Just mind the heat and humidity! Here are my recommendations for ten things to do on a city break to Singapore. 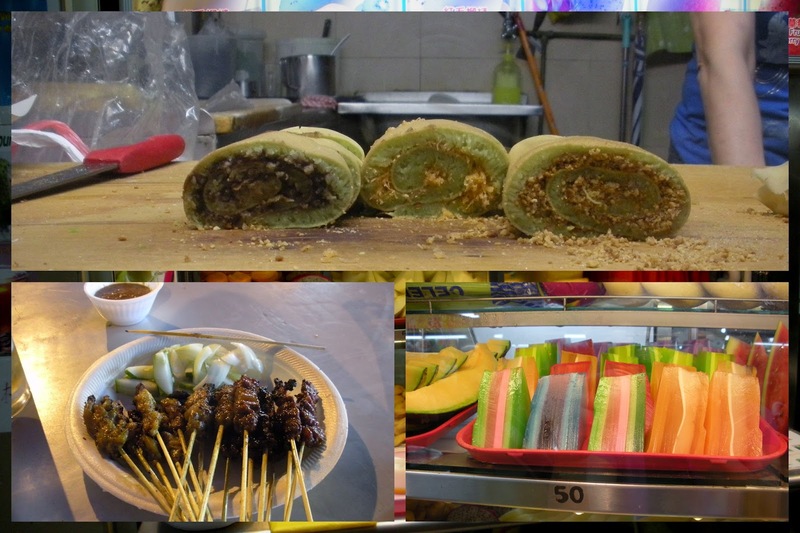 The best way to get to know a place is to try its street food and in Singapore you can do so safely. All food stalls have a prominently displayed health rating. If you stick with the 'A's you'll have lower risk of the SE Asian equivalent of 'Delhi Belly' ruining your trip. We ate breakfast at a local food hall each day. I especially loved these little nutty roll-ups. For dinner, skewers of chicken satay and a large beer took the edge off the extreme heat and humidity. In Singapore, we had one of the most unusual desserts I've ever tasted. 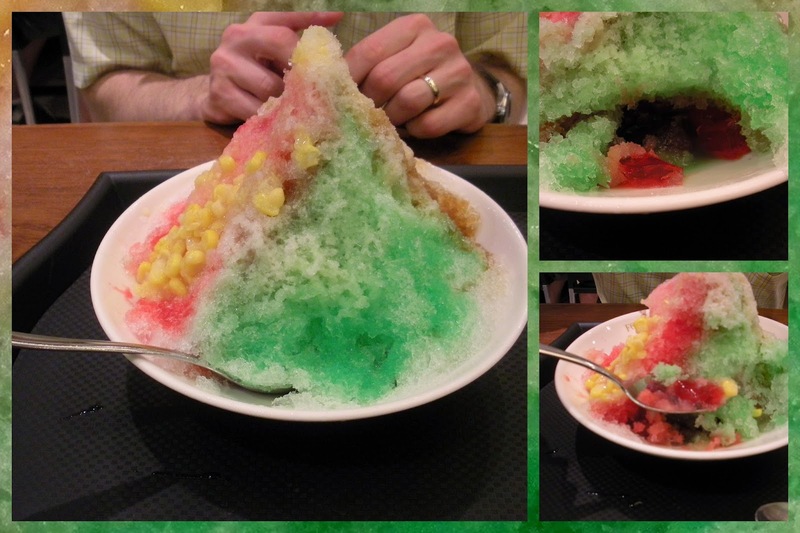 Ice Kachang is a mountain of shaved ice with Jello cubes and kidney beans inside with corn and a bit of condensed milk added over the top. You can find it in the food court at any of the shopping malls. 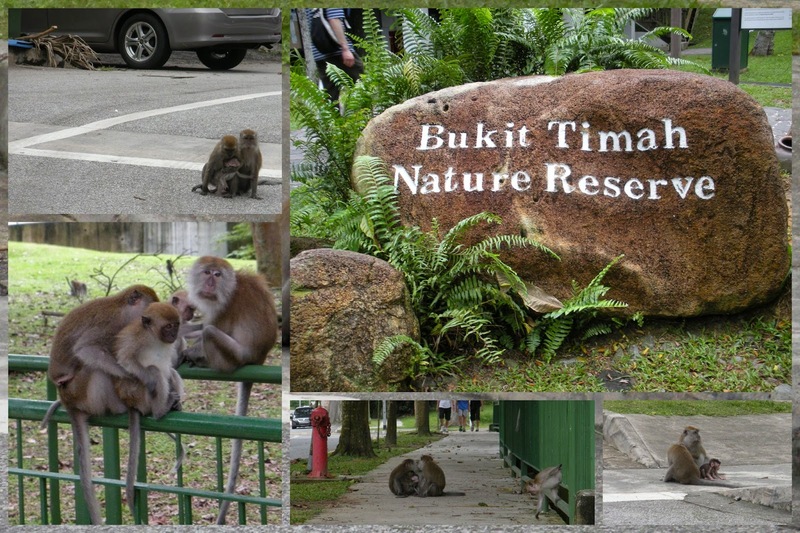 It's possible to get to Bukit Timah Nature Reserve using a combination of public transit, taxi, and walking. The reserve sits very close to a residential neighborhood and we were amazed to see monkeys playing in the street! 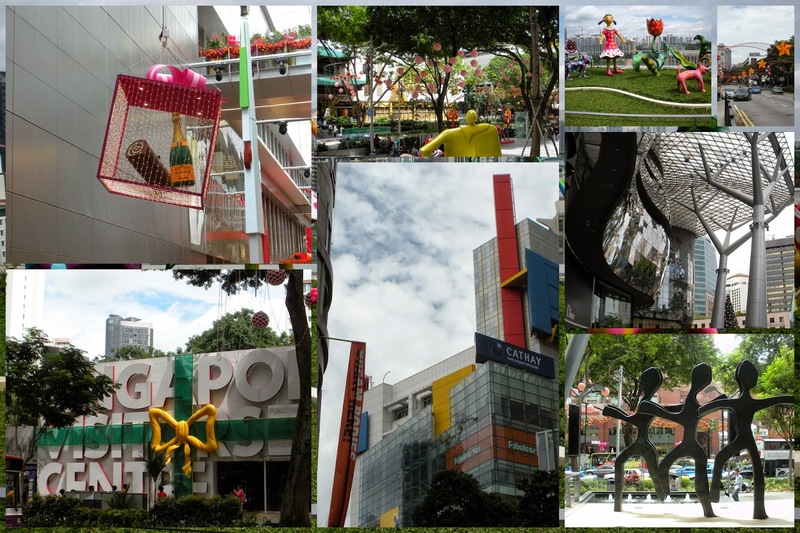 Orchard Road is the premier shopping destination in Singapore. Mall after air-conditioned mall offers welcome relief from the heat as well as high end goods to meet every need and interest. Not far from Orchard Road, the Singapore Botanic Gardens is a delightful diversion. In particular, the collection of orchids are amazing to behold. While in Singapore, I had the sense that it was somehow familiar. It took me a while to realize what it was. Because Singapore is so neat, orderly, and clean, it's almost like being in a controlled environment like Disney World. This is no more true than on Sentosa Island which features beaches, rides, shopping, and restaurants. We've developed an interest in World War II history as a result of our extensive travels around the world. 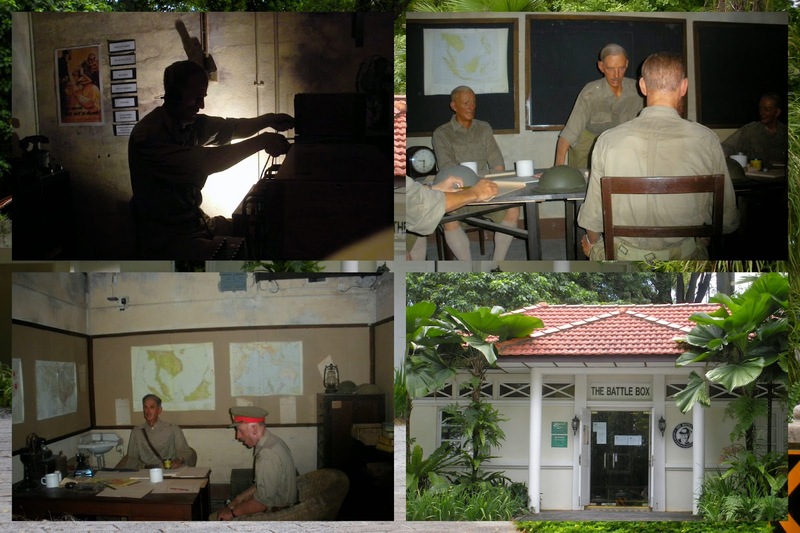 Check out the Battle Box in Singapore to see the underground command center constructed at Fort Canning. We could just imagine the tension thinking back to what the military must have been feeling as the Japanese were blitzing their way down the Malay Peninsula. It was at this location that Singapore was surrendered to the invading Japanese. 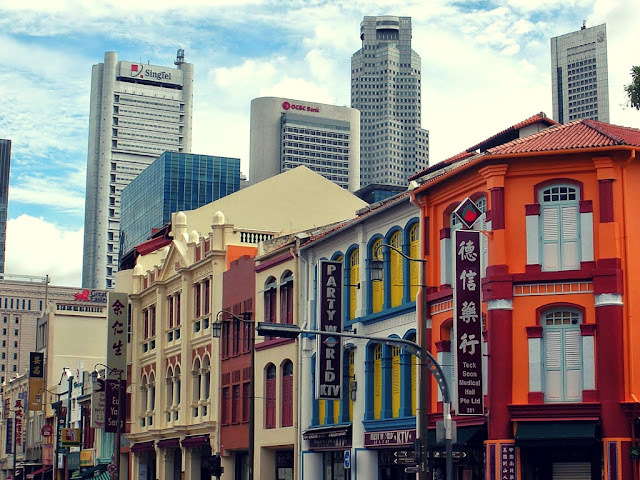 Singapore is culturally mixed and you can effectively go around the world without even leaving the island. Chinatown and Little India are welcome contrasts to the western style skyscrapers and expat communities. Dragonboat racing is a popular pastime. We heard drums beating on the river and arrived just in times to see crew teams straining toward the finish line. Singapore Zoo offers a unique attraction, a Night Safari. In fact, even if you are spending just a few hours layover in the country you may be able to squeeze this in. Once again, it felt a bit Disney-esque as we queued up to board our zebra-striped vehicle. The animals enjoy wide open spaces and the barriers between you and the wild are hard to discern. It is actually almost like being on a real safari. Once again, with an excellent airport and infrastructure, Singapore is a great starting point for exploration of Southeast Asia. For more, check out our picks of things to do in Singapore for repeat visitors. What other attractions and experiences would make it into your Top 10 here? Ten things to do on a city break in Singapore. A blog post written by travel blogger, Jennifer (aka Dr. J) from Sidewalk Safari.